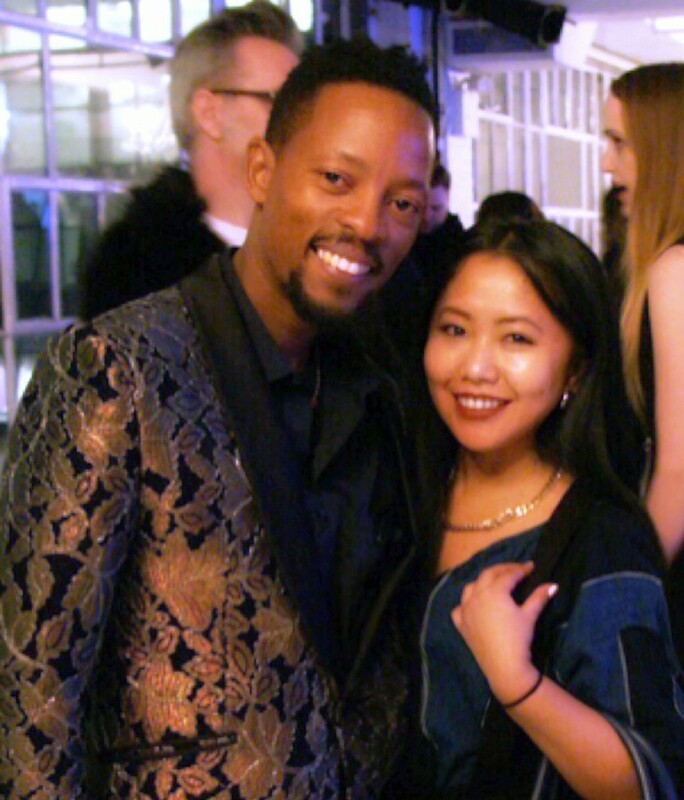 One of the highlights for me from New York Fashion Week 2017 - Fall/Winter '17 was the opportunity to attend Oxford Fashion Studio's show on February 11, 2017, where John Kaveke was one of the designers who was featured, as well as meeting him in person. An honor that I shall cherish for years to come. John Kaveke is a renowned fashion designer from Kenya who I have been devoutly watching. 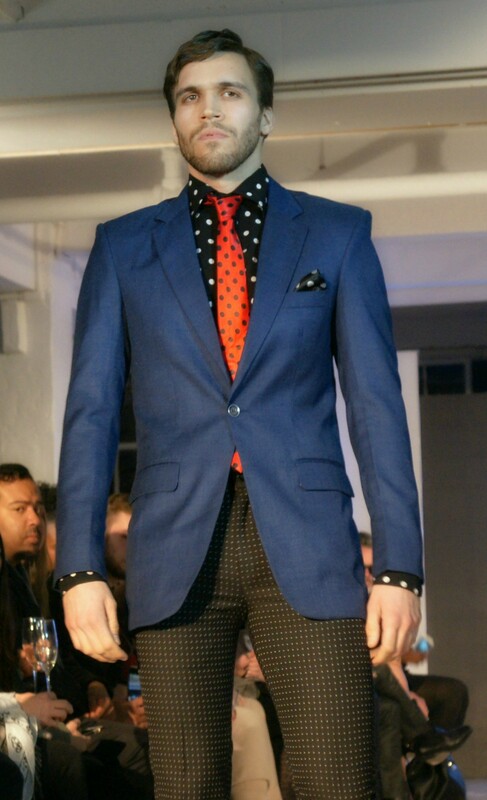 I have always been drawn to the vibrant colors of his collections (this is a big deal for someone such as myself who opts to wearing basic colors 90% of the time), the detail precision of the tailoring and prints, the "raw" and unique designs. This collection makes me think of a weekend brunch at NYC restaurant Beauty & Essex, or a happy hour at Ralph Lauren's Polo Bar. I would just automatically associate his designs, "Raw Attitude" in particular, with good times surrounded by fashionable friends at a fashionable place. I was especially obsessed with the black tuxedo with extravagant metallic-pearly rocker shoulder pads that the female model was wearing on the runway. For someone who loves to wear a jacket (and gold/metallic accessories) to add more dramatic look to my outfit, I could see myself wearing this piece to the office or to a live music concert. Just like other items from the "Raw Attitude" line, this jacket is as contemporary as Kaveke's vision. As a talented and famed designer in his country, born in Mombasa, Kenya, Mr. Kaveke has been in the fashion industry for over 15 years, and is one of the leading designers in Kenya and Africa as a whole. 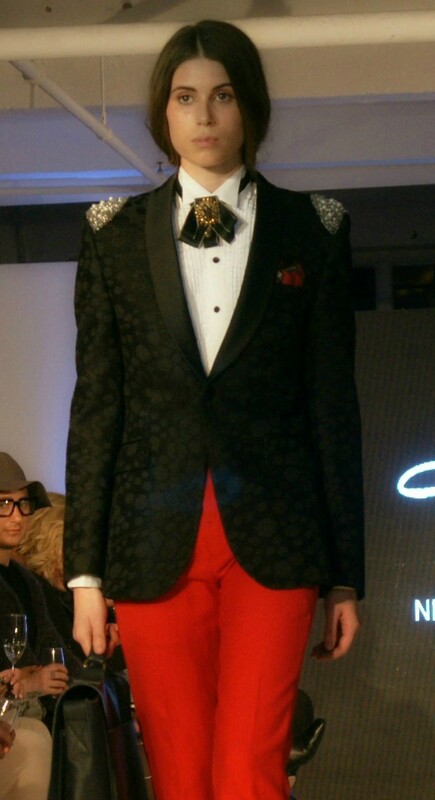 He went to study fashion and design at Woodgrove Fashion College in Kenya, then at Istituto Europeo di Design in Spain. In addition to New York Fashion Week, his work has been featured at prestigious international shows and events, which includes London Fashion Week, Sarajevo Fashion Week, Swahili Fashion Week, and the International Smirnoff Fashion Awards. At the Oxford Fashion Show, I had only a few minutes chatting with Mr. Kaveke; though from our brief conversation, I considered him one of the coolest guys I have ever met. 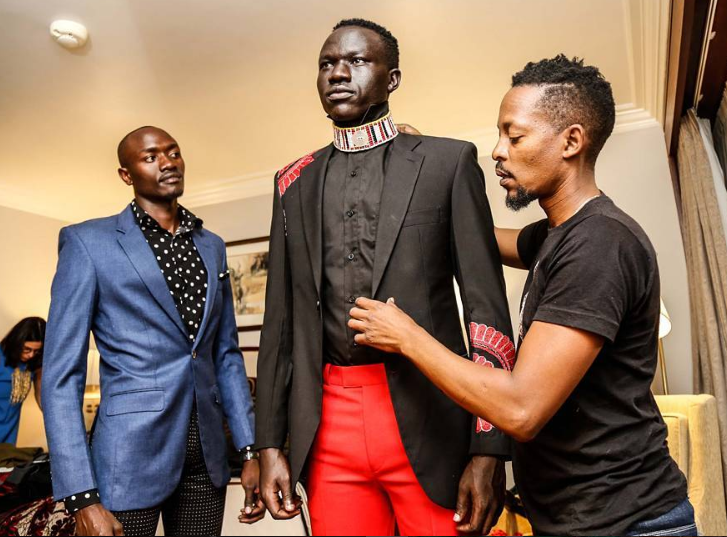 Not only is he an advocate of introducing Kenya and its artistic work to the world, but he also supports other designers from all over Africa, and encourages them to develop and grow their creativity within the continent as much as abroad. A "cool cat" who is unique, modern, and proud of his heritage, there will be no other John Kavekes. I am certain that one day I will be able to witness more of his contemporary masterpieces -- John Kaveke and "Raw Attitude" will go far within and beyond Africa, as the world is and will always be watching his genius creation.